The vast majority of people reading this will realize it’s a total no-brainer to say that weight loss is often a very confusing, over-whelming, frustrating and irritating topic. It is almost always a significant and challenging process. If it was easy nearly everyone would succeed in it and we wouldn’t have the epidemic-like statistics related to weight issues and obesity here in The United States. Not to mention that the issue is a very personal matter in most cases. Stress, emotion and self-esteem are typically involved. Plus, it can get quite urgent or serious in nature when chronic health concerns associated with obesity creep into the picture. 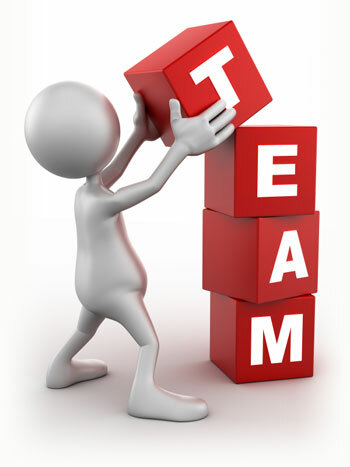 There are many well-known sayings regarding “team”. You have probably heard the saying “There is no ‘I’ in team”. Maybe kind of cheesy, but it is true! A championship weight loss T.E.A.M. is not dependent any one person … including YOU as the one desiring or needing the change. Most people really do need advice, accountability and support. A successful team must know what they are aiming for. An unclear or unrealistic weight loss goal is often the exact reason for failure. When a person has a realistic and science based weight goal it gives them a new level of understanding and clarity. With that comes leverage and reason to follow through. There is absolutely more to a weight loss goal than a “number on a scale”. Do you know YOUR actual body composition? Or, are you merely comparing yourself to someone else? Or perhaps even worse looking at antiquated and outdated “height/weight” charts? Those give NO information about muscle mass, age and many other important factors when setting healthy and realistic goals! Once you have the technology to get science based measures and set sensible “number goals”, we believe it is a practical exercise to “paint a picture” of how your life will be different as you approach and reach that weight loss goal. Get clear on what this will truly mean to you. How will your life look when you get there? How might life be different, better, more fulfilling? How may your family, your friends, your co-workers and others be impacted by a more healthy and happy you? We readily admit that these things differ among individuals. We all have different values and goals in life. So, only YOU can answer these questions. But it surely helps for most people challenged by a weight issue to benefit from a TEAM approach to getting clarity on all of this. Take it away from weight loss. If you are aiming for ANY goal like a basketball hoop for example, you must first SEE that goal. If you are blind-folded or spun around making you dizzy, dazed and confused it’s really hard to make a basket! The better you see the goal or target the more likely you are to hit it! Is it time for TEAM? Might you benefit from fresh, healthy and realistic TARGETS? We’re here when you’re ready! Tune in next week when we share about the “E” in TEAM!